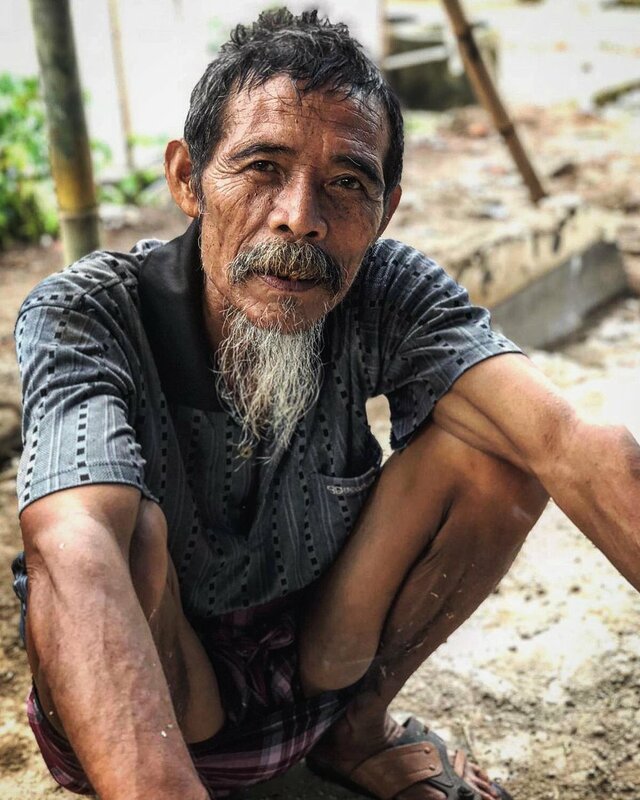 In August 2018, Indonesia experienced a series of large earthquakes followed by hundreds of aftershocks. These earthquakes could be felt across multiple islands, but the devastation was especially severe in Lombok and Sulawesi. Entire villages were absolutely flattened, and Sulawesi experienced a tsunami as well. 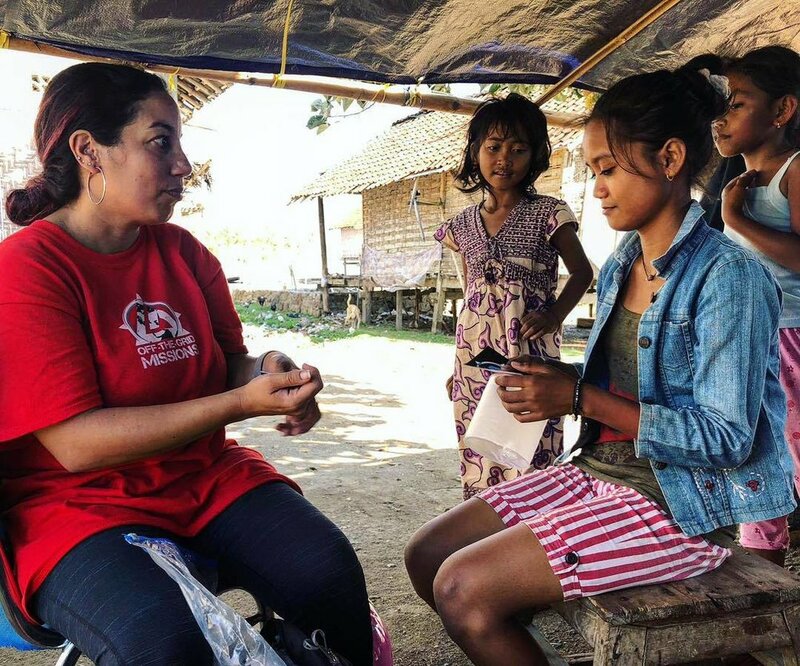 This story takes you through our journey into Indonesia in search of the Deaf & Hard-of-Hearing to bring disaster relief. We focus on Lombok, since this is an area especially in need of resources, and Sumbawa as the earthquakes were felt there. Since Indonesia is on the Ring of Fire, there is always the potential for future earthquakes, and the community there is definitely unprepared if this happens. As we continue our efforts on the ground, we want to give you an inside look into the work we are doing. 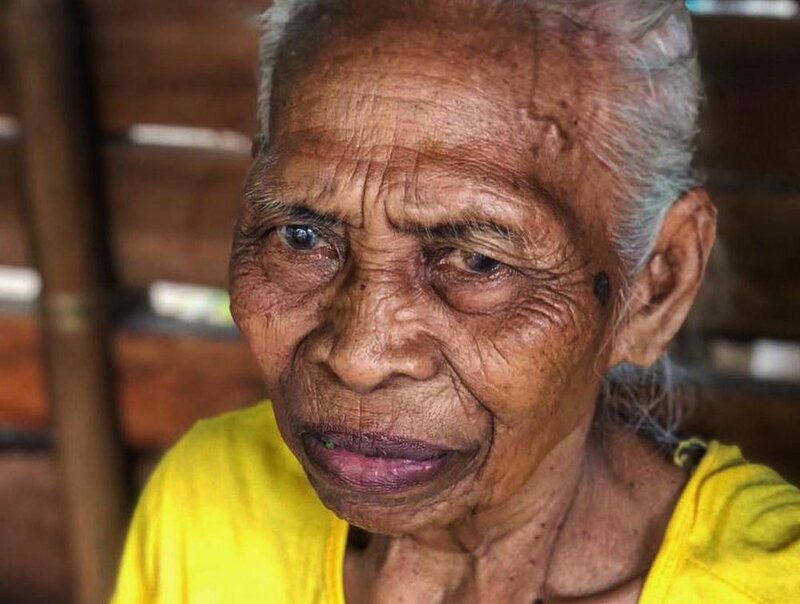 When it comes to a natural disaster, those with a hearing-loss are less likely to recieve relief such as food and water, and are also more likely to be victims of violence due to language and communication barriers. Light is a crucial factor; those who rely on visual communication such as Sign Language can no longer communicate after sundown. The lack of electricity causes information to be limited to word-of-mouth; however, information can not be passed to the Deaf/HH by voice, walkie-talkie, radio or internet. Therefore, a majority of those whom we supply have been individuals we discover on foot by collecting names and addresses from friendly strangers and using social media to spread the word to those few who have access. This makes finding the Deaf & Hard-of-Hearing living in the remote regions of the islands an extremely difficult task. A regular day for an individual who is Deaf or Hard-of-Hearing can be challenging having to constantly deal with communication barriers. We can spend up to 8 hours on motorbike going village to village asking locals if there are any Deaf people in their village. Sometimes we find people, other times there is no one, or the person isn’t home. Very few of those that we find in the most isolated regions (needing the most help) know Sign Language –as most do not. Out of all the people we met on Sumbawa, only one knew sign language. We heard stories time and time again of people being denied the opportunity to get an education. One woman’s family tells us they wanted to send their child to school, but the local school said that it “wasn’t worth it” for them to teach only one Deaf student. With tuition costs being $130/year it becomes another reason Deaf children are not sent to school; the lack of education is what results in a lack of communication. It is easy to assume that Deaf people can read-lips, however, the amount of words actually understood is limited and that is why we rely on visual forms of communication such as: gesturing, images, signs, and various dialects of Sign Language to communicate with the Deaf. Then there is the interweaving between the hearing and deaf worlds that only expands the forms we use to communicate as we work our way around the islands. We learned a handful of words in Bahasa or Sasak and sometimes someone in the village knows a few words in English. We also use Google Translate, pictures, video, gestures–or acting things out…. again, it all goes back to visual communication. A hearing wife who does not know sign, explains to us how she puts her mobile up to her face for her Deaf husband to see her when they are communicating. Thanks to MPOWERD we are able to expand our impact on the ground in providing sustainable solar light for the Deaf. MPOWERD provided us with various options; we chose the “EMRG” Luci Lights as they are extensively more valuable for the Deaf/HH who rely on light to communicate in Sign Language. While a hearing person may find the durability of the light most appealing, it is the Deaf who are most intrigued by the light's settings. For example, the bright setting is crucial for communication. It is typical for the Deaf to gather in well lit areas because that is where the light is the brightest to communicate. So the bright setting enables those in a room to comfortably interact. The dim feature is a great feature for Deaf mothers who need a softer light whether feeding their child or while their child is asleep (night light). The flicker feature is exceptionally unique because while a Hearing person can just shout a person's name to get their attention, a Deaf person must either flick a light, walk-up and tap them on the shoulder, or wave to them from a distance. The added red light flicker suggests a swifter response, such as the urgency to get one’s attention. Each feature on the Luci Light provides a sense of normalcy for a Deaf person that would otherwise be lost in the aftermath of a disaster when there is no electricity. 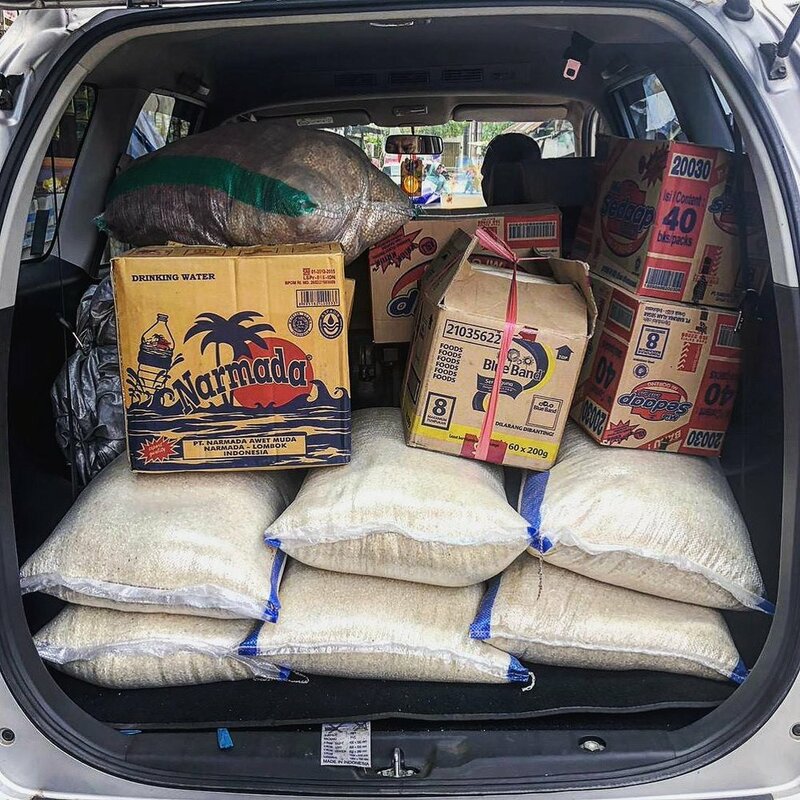 While we continue to work to supply the Deaf & Hard-of-Hearing with sustainable supplies, we also use donations raised by individual donors in the purchasing of one-two months worth of food. We search for nearby markets and purchase foods particular to their diet that do not require refrigeration. We rely heavily on locals for navigating the islands –whether carrying supplies on motorbikes sitting behind volunteer motorists, navigating taxi drivers, or using interpreters to finding the Deaf. A friend let us take a video of her speaking in Bahasa, explaining our mission and the fact that we were looking for Deaf people to bring supplies to. As we drove village-to-village, we would walk up to people sitting out on the beruga, and press play on the video. Time and time again people would crowd around our little cell phone screen and listen to this message while we waited with a smile. Then if there was someone who was “tuli” or Deaf, in the village, they would gesture to us to follow them and lead the way to their home. Similar scenes replay up the coast of Lombok, each time the scenery changes only in the sense that the closer to the epicenter of the earthquake we get, the higher the percentage of houses that didn’t withstand the tremors. Many Indonesians on the island of Lombok work in the rice fields or catch fish. Either way this can mean long days that sometimes start or end when it is dark outside. None of the families that we met had a car, and only some had a motorbike to use, so walking is the primary means of commuting between work and home as there is no public transportation system. Many members of the Deaf community were thrilled to receive their light knowing it will help light their way as they make their commute home along the roadside, making the walk not only easier, but safer as well since vehicles will be able to see them more easily. The Deaf & Hard-of-Hearing begin to receive clean water. 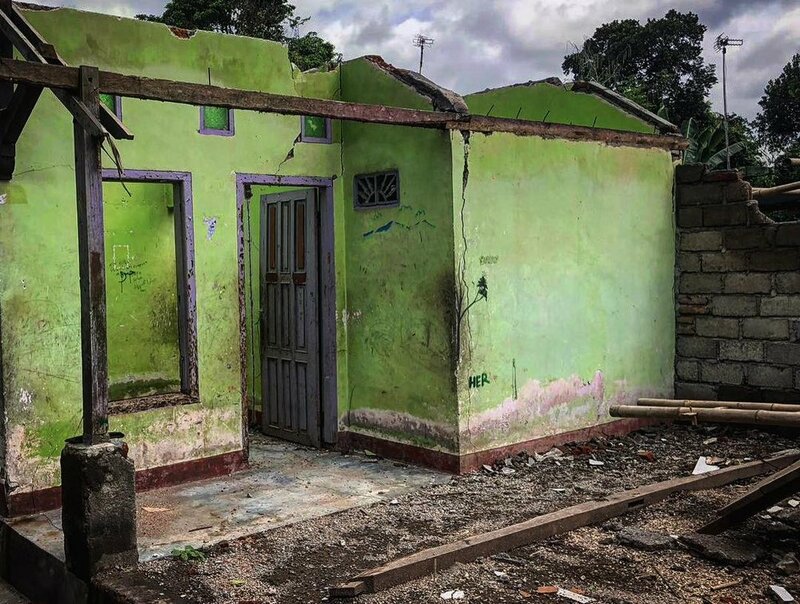 We are working with our partners Pituq Community Foundation and Waves For Water to distribute clean drinking water filtration systems to the Deaf & Hard-of-Hearing. Providing sustainable supplies in Indonesia to the Deaf/HH ensures that a few more people will now always have the opportunity to thrive.